Delhi NCR centre has been a workstation of some of the biggest names in creative industries of India. Delhi is not just a city with great architecture, but also the hot seat of some of the most important fashion, entertainment, business and political events. No wonder then, our fashion, designand business students get ample of opportunities right here in Delhi. 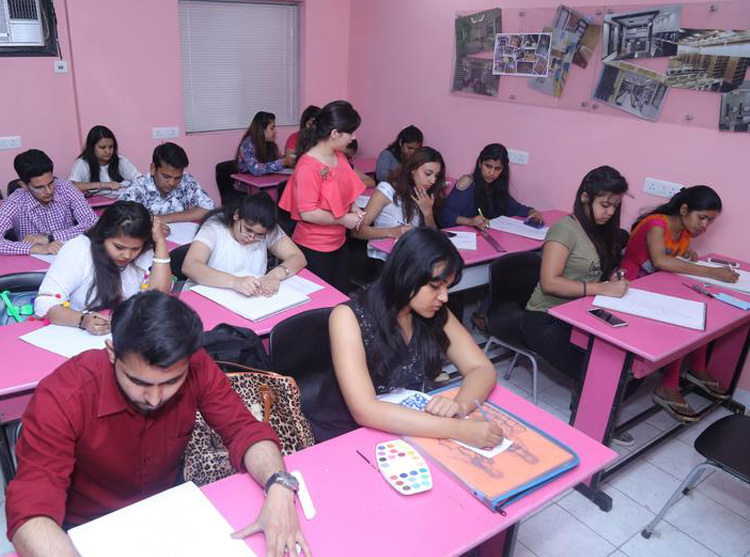 Design & Drawing Studios at IIFT North Delhi Campus are where design students study and nurture their creativity. Fully equipped material workshops allow students to have conceptual and physical space to experiment with material, tools, processes and ideas. Pattern making & draping Studio is equipped with clear surface tables. International standard dummies and mannequins are available for garment draping and test fit are as per US sizing. Our CAD labis built to accommodate high-end graphics and multimedia content and development. IIFT provides a State of the Art computer lab in the campus. 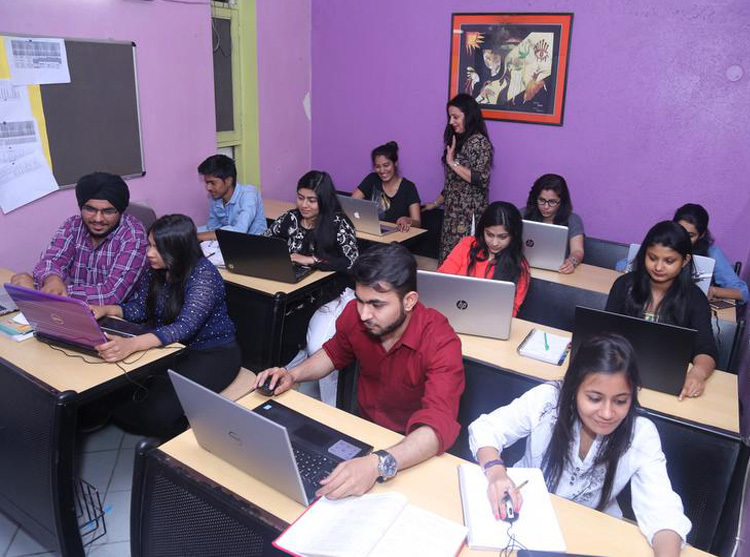 This high end lab has a wide range of design related software inspiring the students to achieve their highest potentials in originality, innovation and creativity. Sewing and Cutting labhas all the latest machines ,all industrial& foot machines as well as over-lock machinesto give you a hands-on training as per all kinds of industries. Interior Design Labis equipped with modern drafting and design facilities. 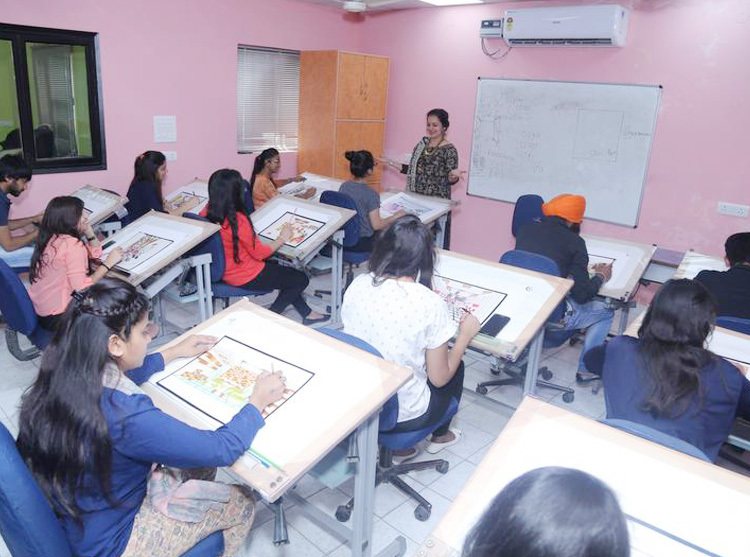 The Interior design classrooms give the students comfort & ease along with the professional atmosphere required to acquire a learning experience that goes beyond the surface of interior designing, exploring more deeply the aspects of human environment, be it for commercial or residential purposes. Audio Visual Lab-Audio-visual education is the medium of instruction at IIFT North Delhi Campus asspecial attention is paid to the audio and visual presentation of the material with the goal of improving comprehension and retention. Printing and Dyeing Lab-Well equipped printing lab at IIFT gives a hands on experience to the candidate about the intricacies of the trade in a practical way. Jewellery Designing Lab –Jewellery design lab at IIFT is equipped with modern jewellery instruments related to jewellery manufacturing & gemstone testing. Student lounge has comfortable seating facility. This provides an ideal venue for students to relax &enjoy. 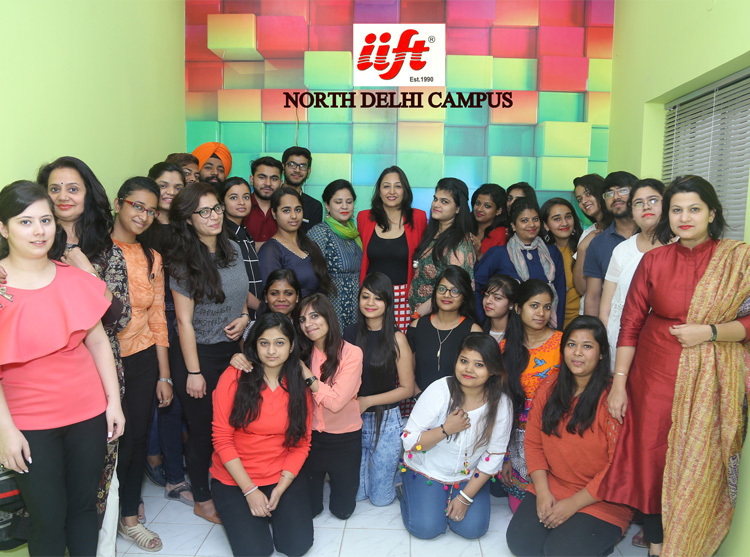 IIFT north Delhi Campus directly has “BIKANERWALA”on the outdoors, which serves fresh, hygienic, and nutritious food at reasonable prices in a relaxed and friendly environment and it is a favourite hang-out place with students. Parents and students feel that living in accommodation recommended by the college during their first year makes the whole process of adjusting to the new environment easier. To this end IIFT offers Hostel Accommodation Facility for outstation students on 'FIRST-COME-FIRST-SERVE-BASIS' at a walking distance from the Campus. Kindly note the accommodation has limited seats and therefore the earlier you book the accommodation, the better you are placed. We can also provide you with a list of PG accommodations available near the IIFT campus for your convenience. IIFT Student Residential Accommodation is a short walk from the campus and a few minutes walking distance from the Metro Station. It has been carefully selected to allow for an easy commute /walk to the campus.